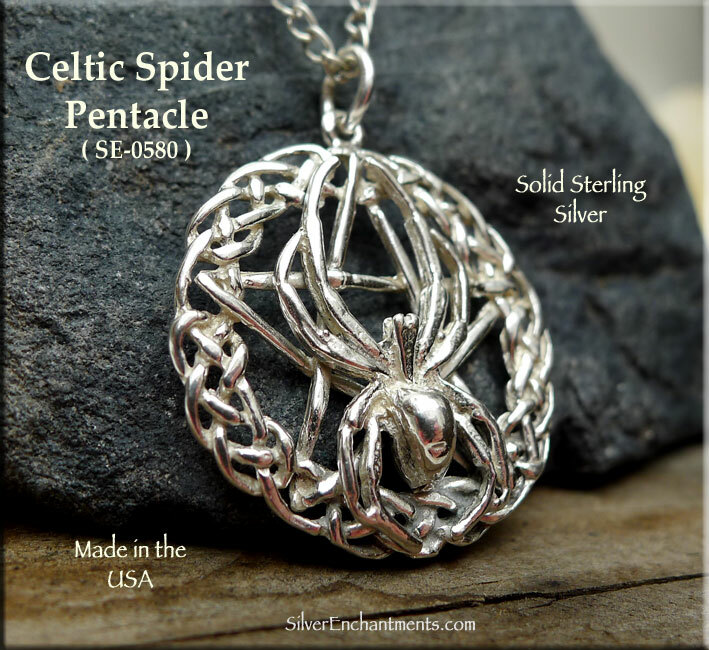 Spider is a master of patterns and webs. 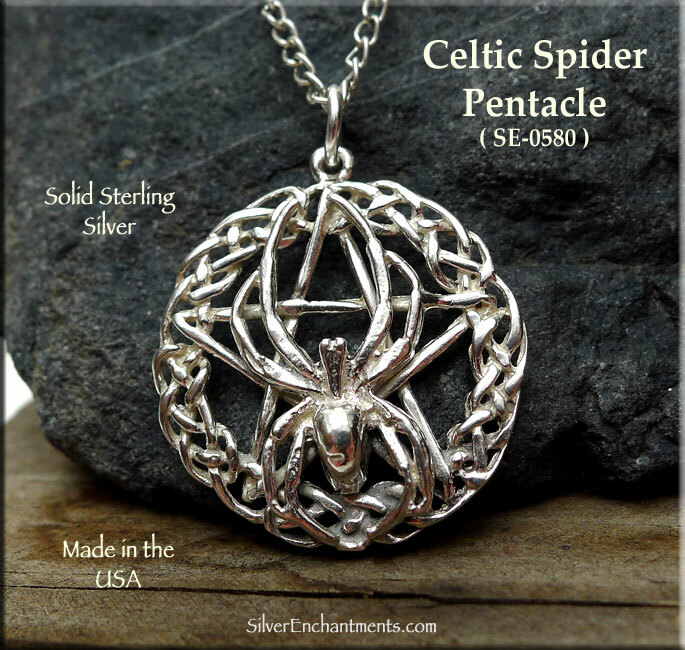 Spider creates, crafts, and constructs, and is of both Earth and Air -- its magic involves building, weaving, constructing, and gathering. 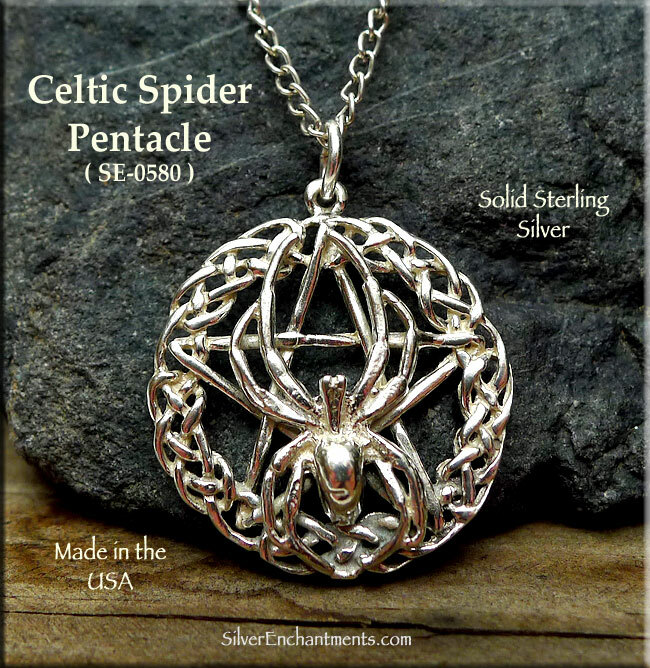 > You can Customize this item into a Celtic Spider Pentacle Necklace -- Choose from : Pendant Only, or on a Sterling Silver Necklace Chain (see last picture for current chain style). 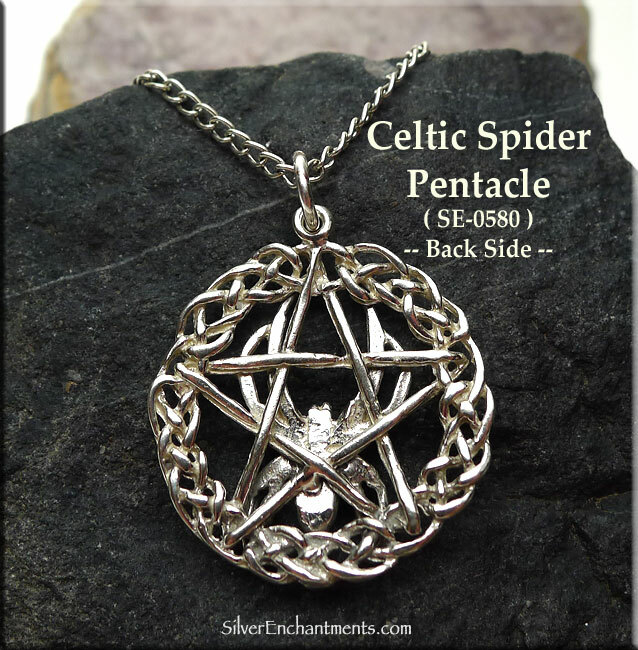 When selecting on a SS Chain, your Solid Sterling Silver Spider Pentagram Necklace will come Boxed.